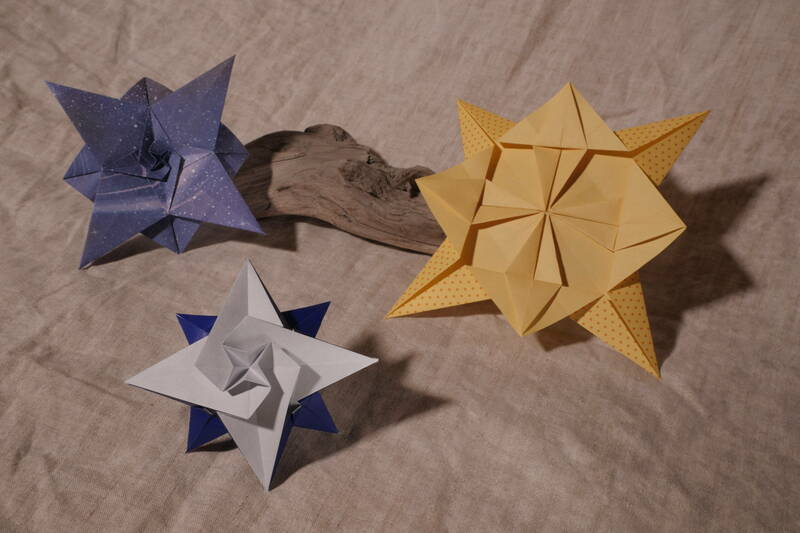 The two top stars are variations from a star by H. Azuma, in the book “Spiral origami” by Tomoko Fusè page 22, ISBN 8976221249 (korean? the editor seems to be Jong le Nara). Searched all my books without success, so I’ve got no idea where I found the bottom star (references welcome). 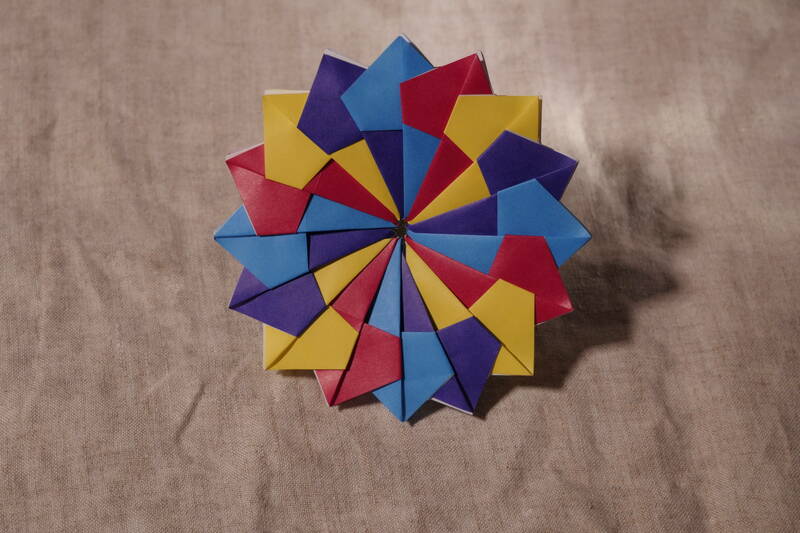 Each star is made of one sheet of paper. The top left is made from 15 cm stars paper from ebay, the top right is 20 cm Folia Basics yellow, the bottom is 15 cm kami. 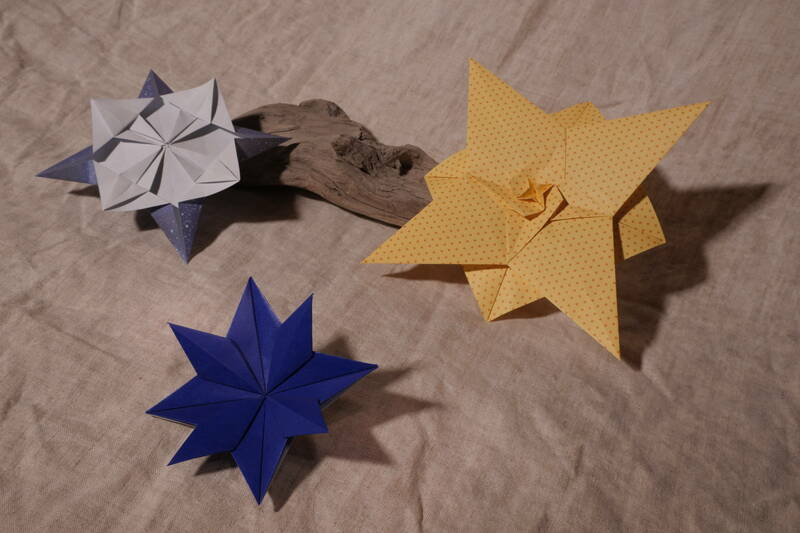 The star is folded from 16 sheets of 7 cm kami paper.